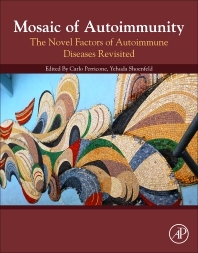 The Mosaic of Autoimmunity: The Novel Factors of Autoimmune Diseases describes the multifactorial origin and diversity of expression of autoimmune diseases in humans. The term implies that different combinations of factors in autoimmunity produce varying and unique clinical pictures in a wide spectrum of autoimmune diseases. Most of the factors involved in autoimmunity can be categorized into four groups: genetic, immune defects, hormonal and environmental factors. In this book, the environmental factors are reviewed, including infectious agents, vaccines as triggers of autoimmunity, smoking and its relationship with rheumatoid arthritis, systemic lupus erythematosus, thyroid disease, multiple sclerosis and inflammatory bowel diseases. An entirely new syndrome, the autoimmune/inflammatory syndrome induced by adjuvants (ASIA), is also included, along with other diseases that are now recognized as having an autoimmune etiopathogenesis.